What is the simplest possible microchip? Probably it's 7400 - quad 2-input NAND gate. 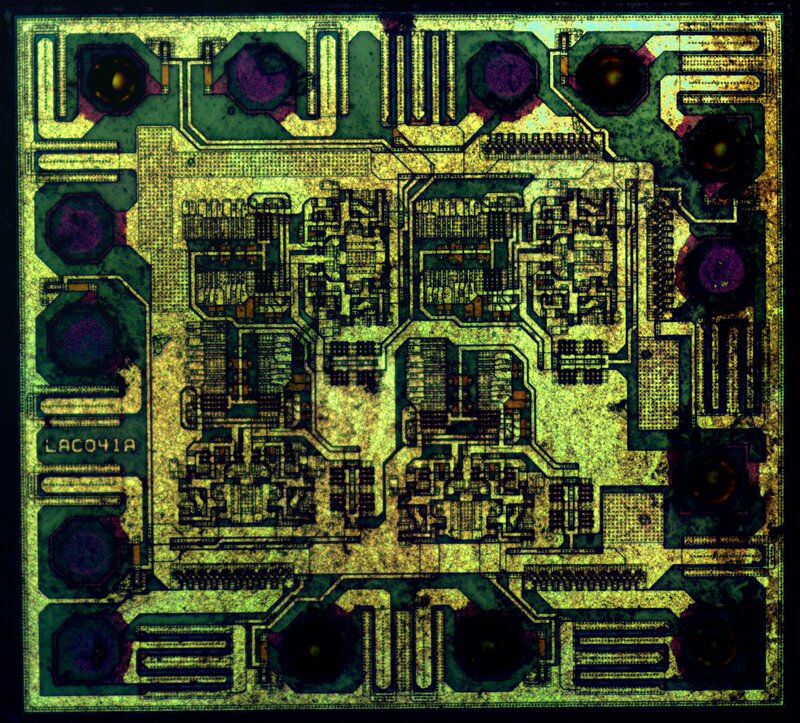 We made a die shot of NXP's 74AHC00 (AHC means "fast" CMOS). This is a nice example that 'old' tech nodes (1µm and older) are still in use. Also, note how many spare via are there. 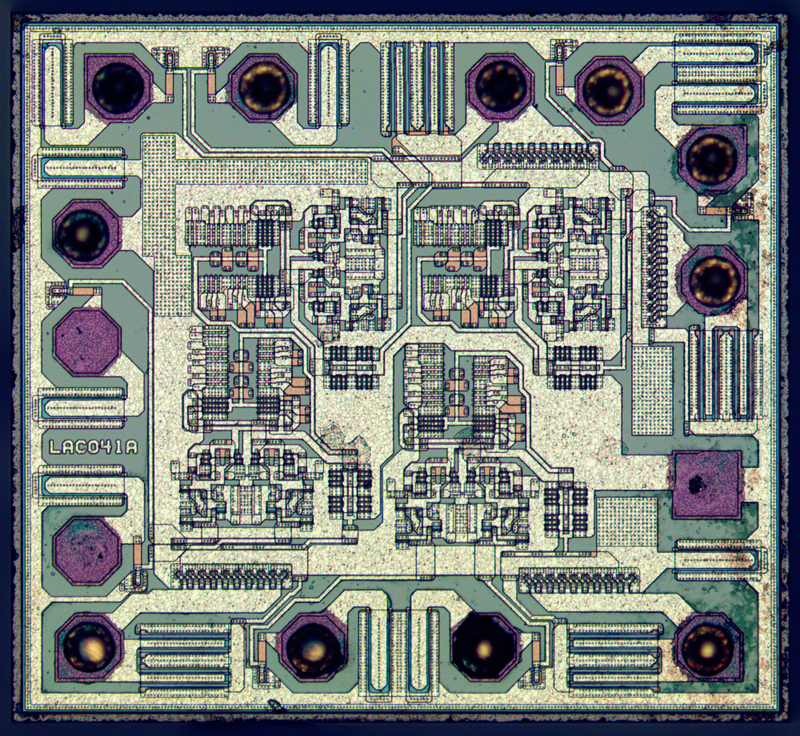 Die size - 944x854 µm.